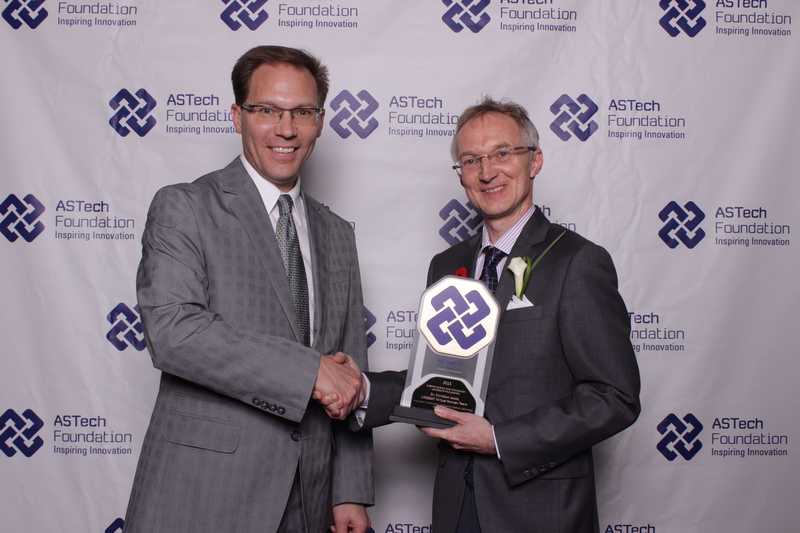 Home Stories Events ASTech 2015 Award! 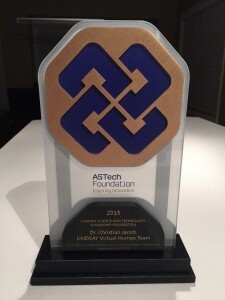 The LINDSAY Virtual Human team won the 2015 ASTech Award in the category of Innovation in Information and Communications Technology. 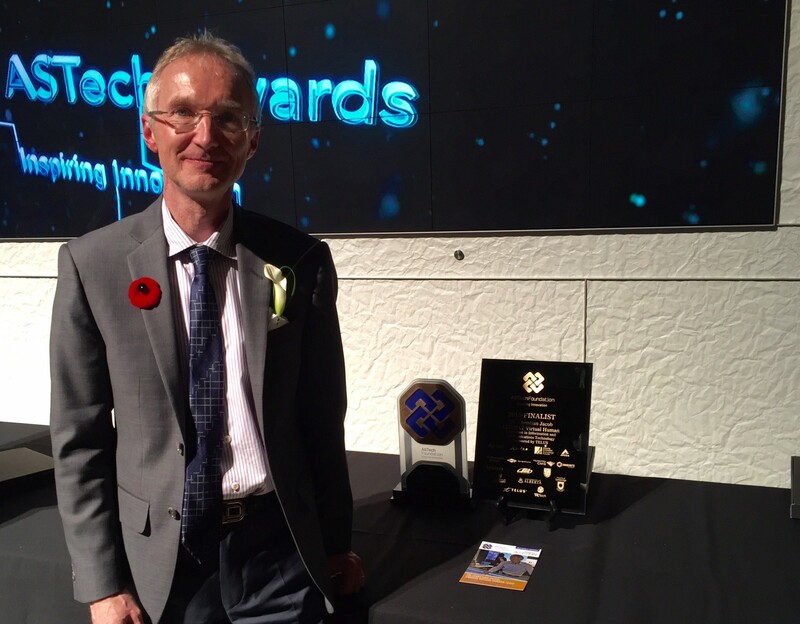 Dr. Christian Jacob accepted the award on behalf of the LINDSAY team during the ASTech gala at TELUS Spark in Calgary on November 6, 2015. 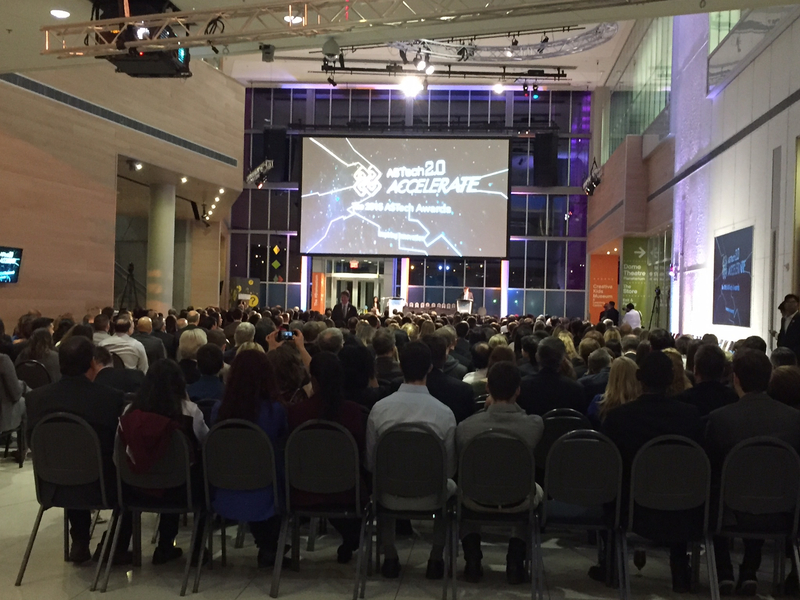 Winning the 2015 Alberta Science and Technology award means an awful lot to us. This award recognizes the outstanding achievements of the LINDSAY team, the many contributions – big and small – that each team member has contributed to the project over many years. A project like this is only possible when passionate people come together and work on a shared vision. This is what the multi-disciplinary LINDSAY team has done and will continue to do. 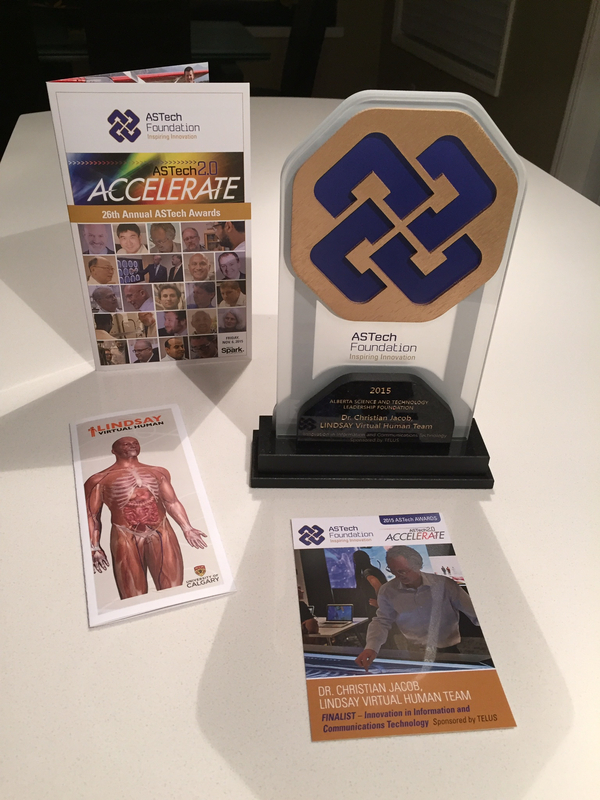 The LINDSAY team feels humbled to be among such a distinguished group of innovative, creative and passionate people highlighted and recognized through the ASTech award. It is this kind of recognition that tells us that we are on the right track, and we are even further inspired to continue our mission of illustrating the wonders and beauty of the human body through the lens of computing. See illustrative examples on the LINDSAY Video Channel. What is this ASTech Award in ICT about? A brief video prepared by the ASTech Foundation to illustrate the LINDSAY Virtual Human project. See more on the ASTech Video Channel. 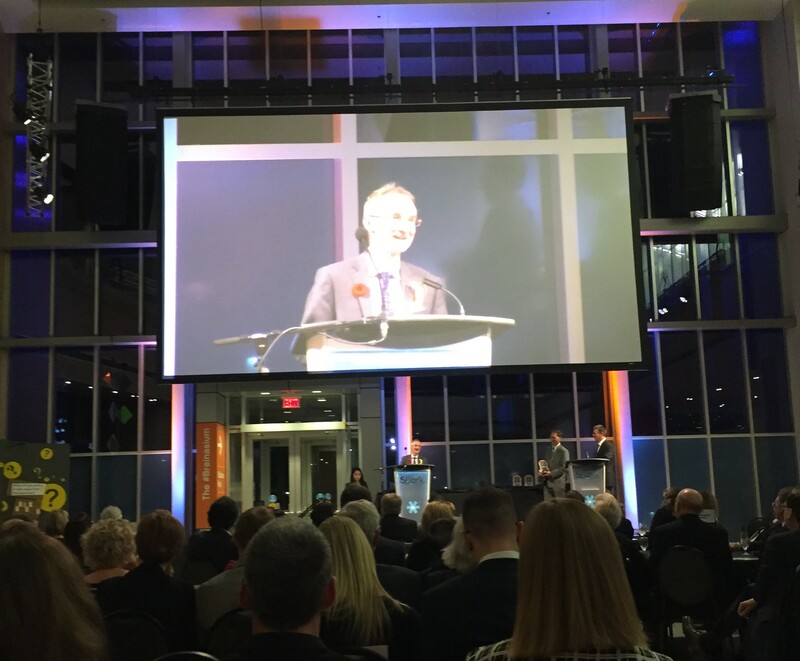 Christian Jacob shares his thoughts on the LINDSAY team’s achievements, his passionate team, the benefits of collaboration and teamwork, and why the province of Alberta, the city of Calgary and the University of Calgary are such fantastic places for innovation. Impressions from ASTech 2.0: Accelerate!